The importance of individuality as an author is often sidelined by a host of challenges. But challenges aren’t always a bad thing. In fact, I believe most of us enjoy a challenge every now and then, often entering into them intentionally. But if the outcome we desire doesn’t happen as quickly or exactly as we anticipate, then we tend to get frustrated and resort to our old way of doing things. Just consider all of the New Year’s resolutions made a few months ago; the majority of people have already abandoned them to return to their former habits. We tend to be selective of our challenges, too. When we perceive the challenge to be out of our comfort zone or if we must do it alone, we tend to reject it outright, choosing instead to walk away from potential opportunities because of fear of the unknown and to avoid the risk of ridicule. These fears extend to our writing. Often, it causes us to stifle our personalities and write in a more detached, formal manner. It also makes us selective in what we write about, selecting what we think our audience wants to read about, rather than what we feel compelled to write about. The downhill skier is doing what’s always been done in the past – what’s expected – and is surprised to see the other skier going the other direction. 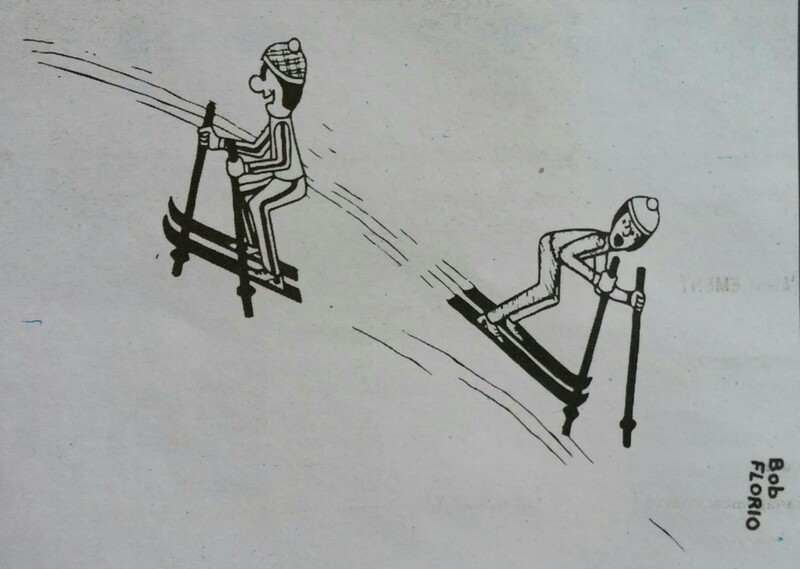 The uphill skier, however, is focused on a different destination. Whereas most skiers would simply ride the chair lift to the top of the mountain for another pass down the slopes, this character is driven to try something new. He’s not looking at the bottom where he started; he’s not giving himself an option to go back. Nor is he looking to the side at others; he’s not comparing himself or waiting to hear their responses. He is simply looking straight ahead, moving toward his goal, even though it’s the harder way. What’s most striking, however, is the smile on his face. He isn’t worried about what others are thinking about him. In fact, he appears to be enjoying his uphill climb. What about you? Are you currently enjoying the challenge of writing your book? If not, perhaps it’s because you’re not following the right path for you. We all understand that no two people are exactly alike. Even identical twins possess individual traits that the parents can easily discern. Why, then, do we believe that we all need to write a book the same way? I encourage you not to succumb to this mindset. God has gifted you with many talents, traits and abilities. Use your individuality to provide your readers with your best work. Not cookie-cutter work. Your own, distinct story; the one you’re meant to tell in your own way. Tradition tells you to sit at your computer, write every day until your story is complete and then submit it to a publisher. However, I’ve worked with a number of clients who have done things quite differently. Some have hired me as a ghostwriter to write their stories on their behalf. Some have spoken their stories into recording software so they don’t have to type every word themselves. Some have chosen to privately publish their books for family and close friends only, whereas others have self-published and promoted their books on Amazon and other online retailers. These are just a few examples. The key is to try different methods and styles until you discover what works best for you. If writing every day is becoming more of a chore than a joy, then write a couple of days per week. 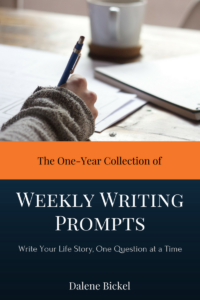 If working on your life story chronologically is becoming burdensome, then write and organize it according to topics that are most important to you, regardless of when they occurred. In other words, if generic advice for the masses isn’t cutting it for you, don’t be afraid to boldly try something different. Something that makes you productive and moving toward your goal while also providing you with a sense of accomplishment. As the cartoon epitomizes, what seems impossible to many is actually possible to those who are willing to think outside the box and put in the work. How can you think differently about the writing process to help you reach your goal? Are you currently struggling with your writing? 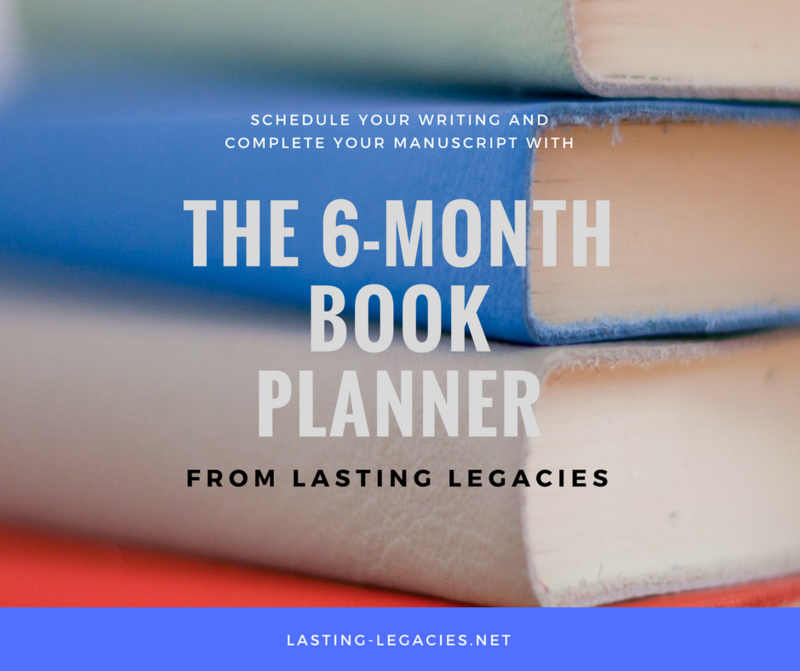 Download my free Author Resource List and receive an offer for a custom writing plan.